January that is. And I am not sorry to see it go because it means we are that much closer to winter’s end. It is cold and blustery out there today. No post yesterday. I had training for the job and then worked in the afternoon. I called it an early night and went to bed with a book. 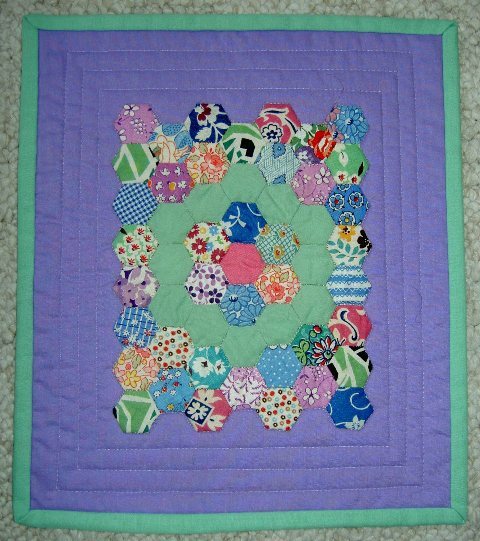 I am pleased to say that I finished one quilt per week in January! 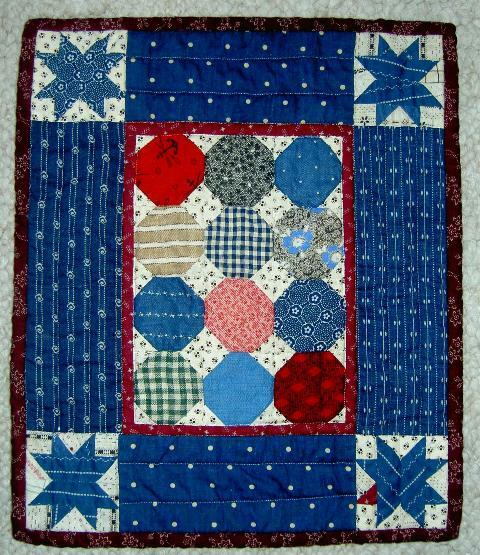 That includes 3 Quilts of Valor, a 4 patch wall quilt made from the Chateau Rouge mini charm packs, and the Abundance doll quilt from the QAL at Humble Quilts. 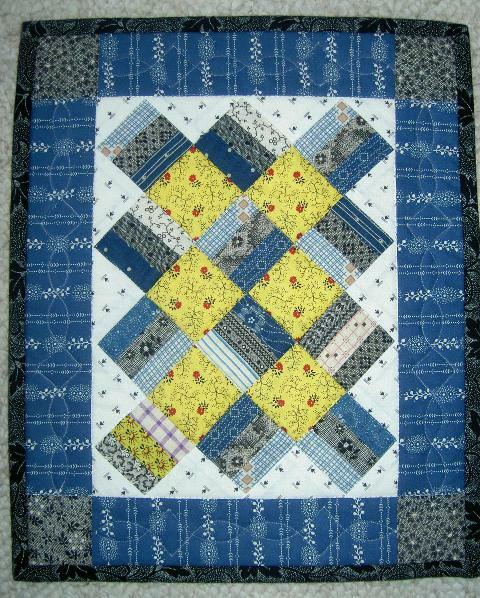 Oh, and I also finished a table runner for my dear MIL’s birthday. Not bad! So as not to have a post without pictures, I thought I would bring out some miniature’s that I made quite some time ago. 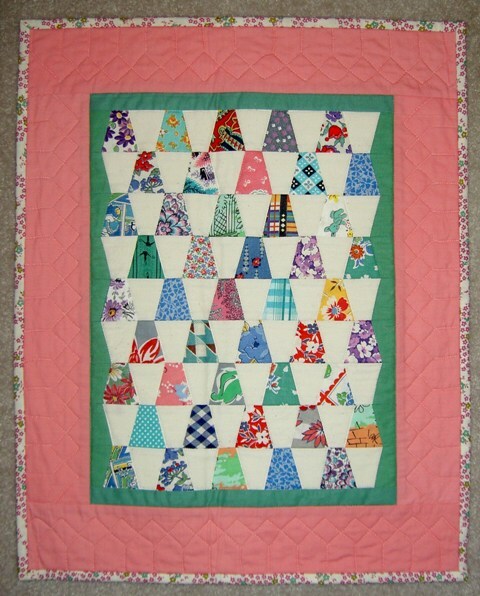 These are all made with vintage fabric scraps, except for the second one dow, those are Liberty of London scraps. Enjoy! 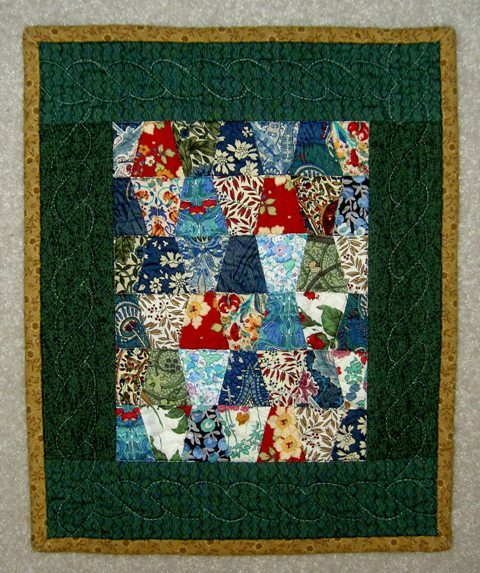 This entry was posted in Doll Quilts, Miniature, Traditional Quilts, Vintage Fabrics. Bookmark the permalink.